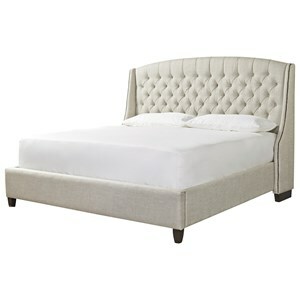 This distinguished queen bed will create a regal and elegant air in any bedroom. 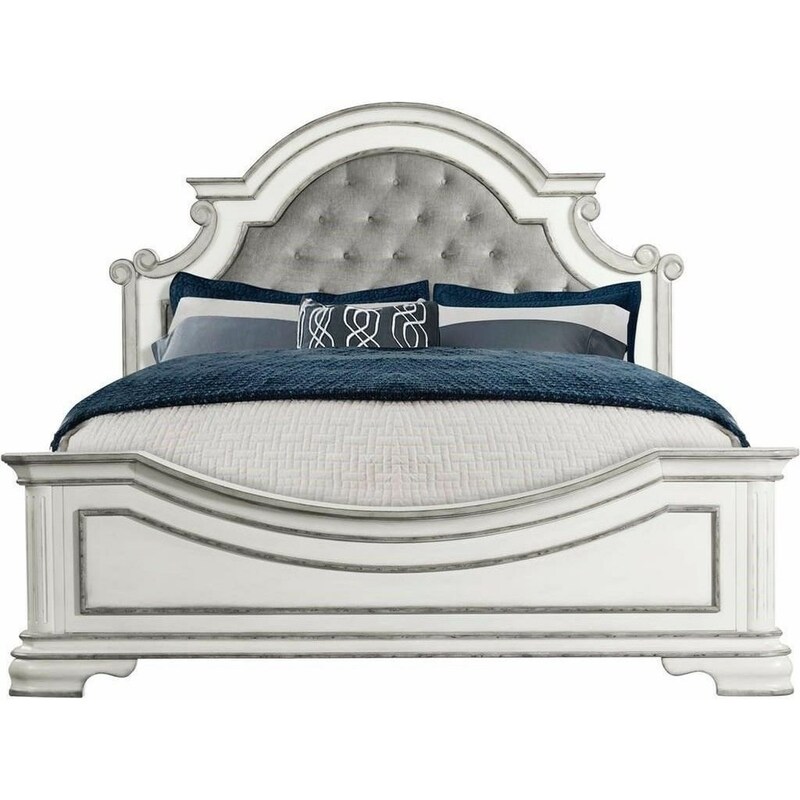 The bed has an impressive headboard with a button tufting panel framed by and ornate frame decorated with crown molding and scroll accents. 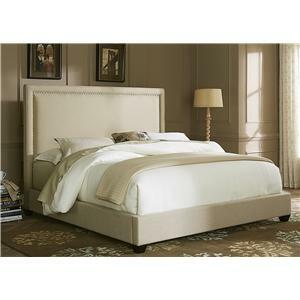 Pair with the matching storage pieces from this collection for a sophisticated bedroom set. 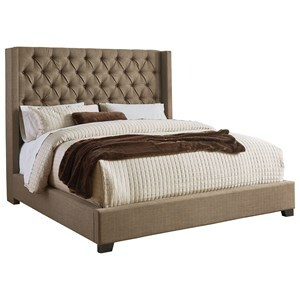 The Leighton Manor Glamorous Queen Bed with Upholstered Headboard by Elements International at Zak's Home in the Tri-Cities, Johnson City, Tennessee area. Product availability may vary. Contact us for the most current availability on this product. Updating traditional designs with a light and airy finish, this glamorous bedroom collection will add charm to any bedroom. 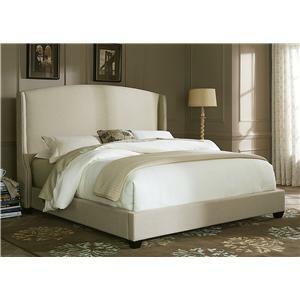 The collection features sophisticated elements such as crown molding, button tufting, and raised drawers panels. 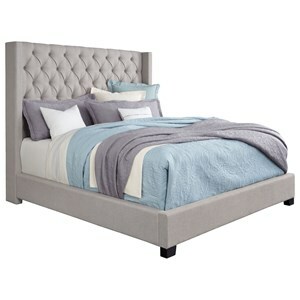 A two-tone silver and grey finish and dark silver hardware add elegant flair. The Leighton Manor collection is a great option if you are looking for Glam Traditional furniture in the Tri-Cities, Johnson City, Tennessee area. 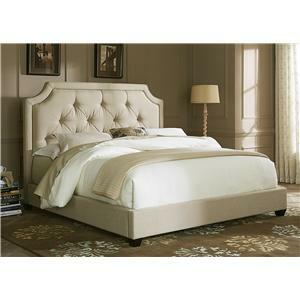 Browse other items in the Leighton Manor collection from Zak's Home in the Tri-Cities, Johnson City, Tennessee area.